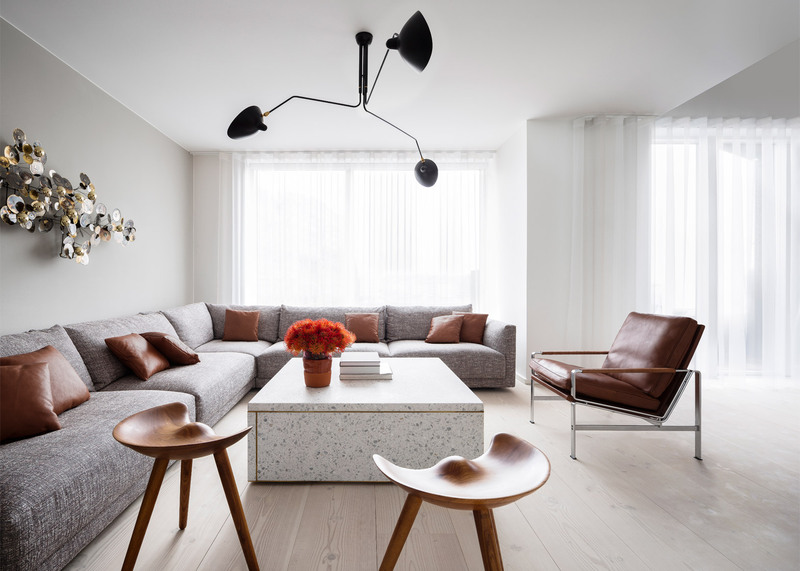 When designing the interior for a newly built apartment in Copenhagen, Studio David Thulstrup used over 300 antiques and bespoke elements to "avoid the usual collection of Scandinavian classics" (+ slideshow). 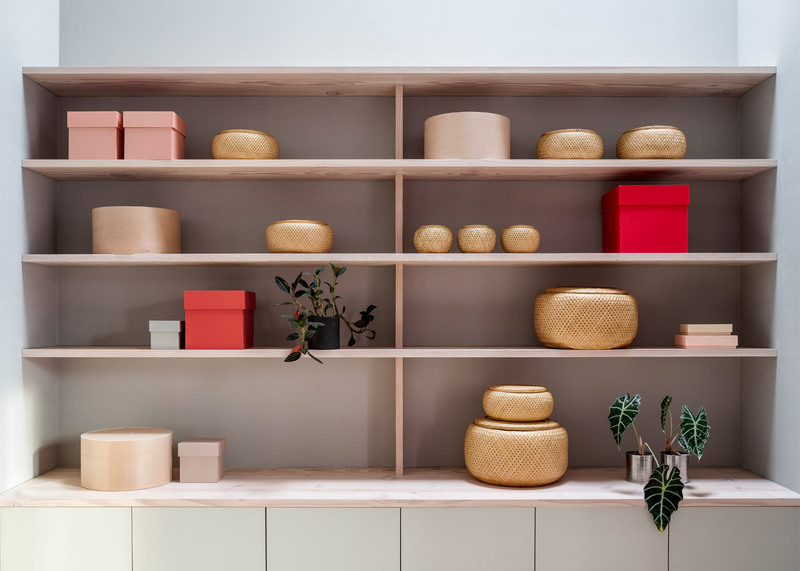 The architects, who are also based in Denmark's capital, hoped to create a modern apartment for a Danish couple who currently reside in South America. 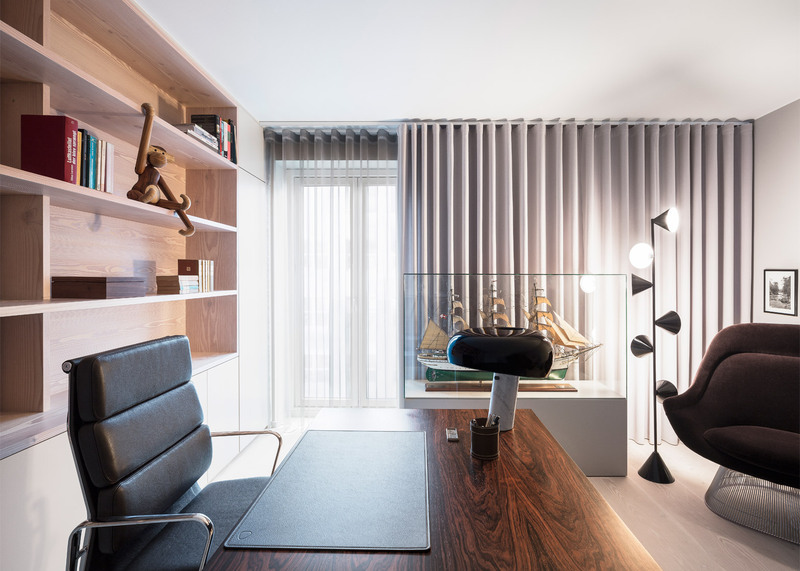 "With the client's desire to create a modern apartment, whilst avoiding the usual collection of Scandinavian classics, we brought life and personality to the cold white bare rooms and gave their home a sense of meaning and personality," said the studio. "They have been living abroad in exotic locations for many years and have acquired a true international style," the designers continued. 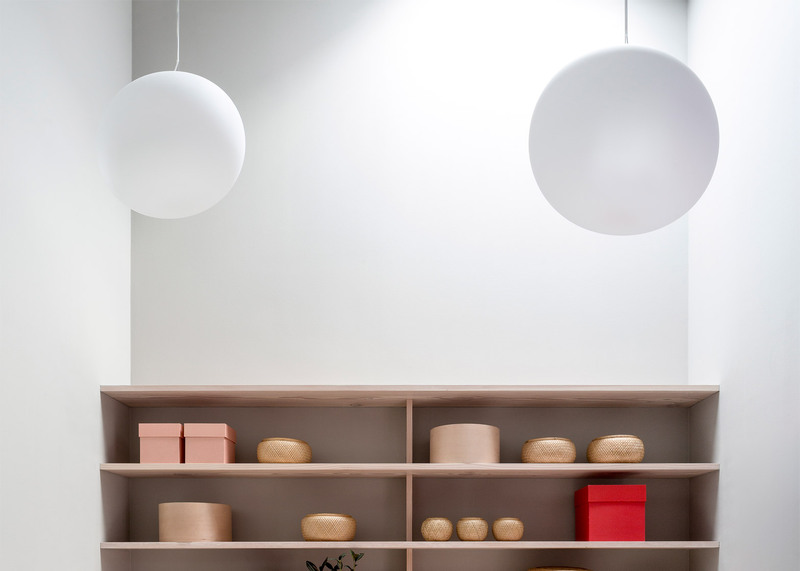 "They yearned for a home base in Copenhagen which reflected this sensibility and well curated apartment." 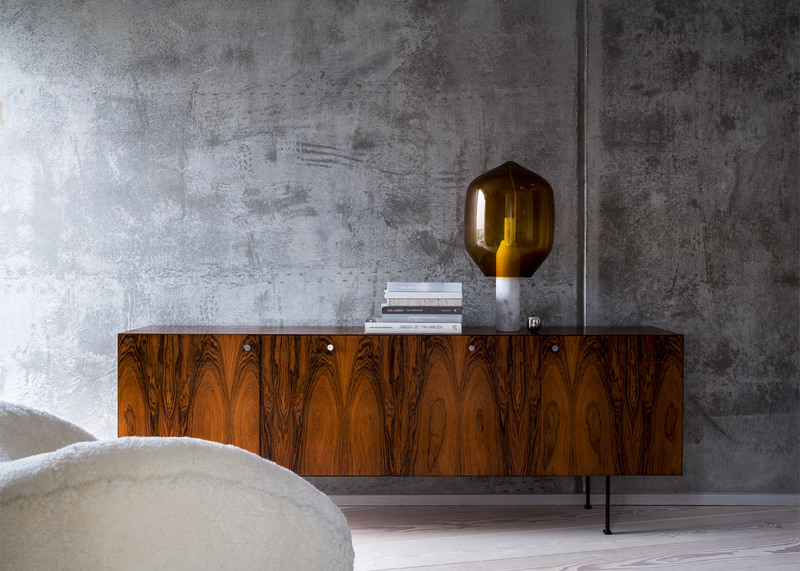 The studio created several bespoke pieces for each room, including library-style wall shelving, walk-in closets, cabinet walls, and a table in the reception area made from a thick slab of marble with brass details. Different colour schemes were used in each area of the house. 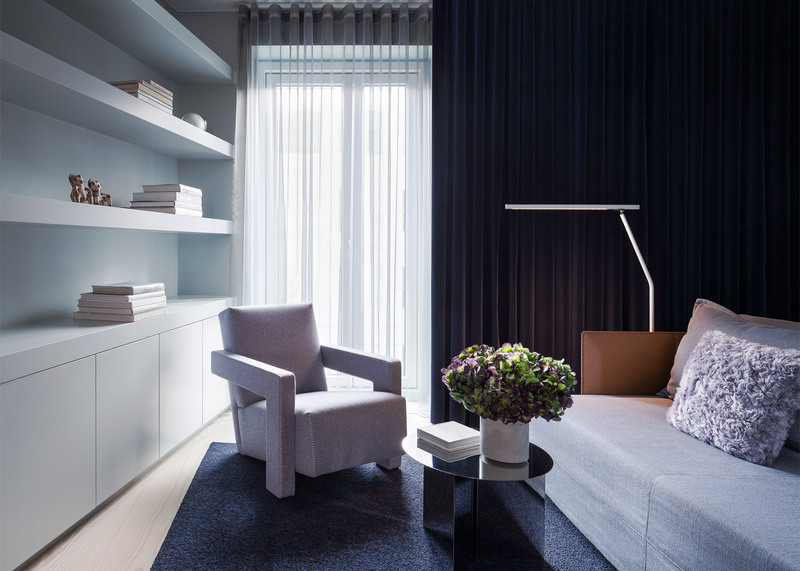 In the lounge, greys are paired with brown leather, while an array of blues decorate a walk-in closet. "The residence is divided in two different colour schemes, which create different zoning in the downstairs and upstairs area of the apartment," architect David Thulstrup told Dezeen. "The first floor works with a very light colour scheme, which creates an inviting and open gesture, and refers to the beautiful view towards the harbour area of Nyhavn, with its light and pale-blue appeal." "The colour concept for the upstairs environment turns towards a slightly darker hue in order to create a feeling of intimacy and privacy." 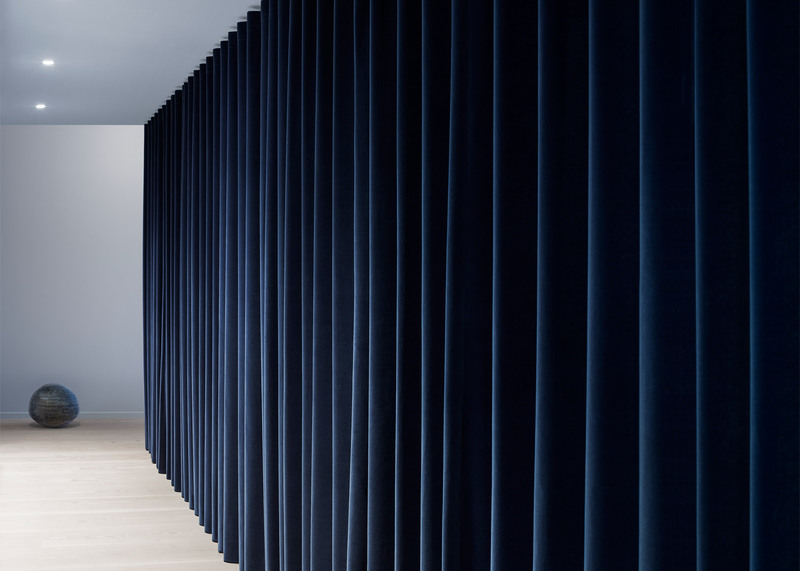 Thulstrup founded his eponymous studio in 2009, having worked in Paris with French architect Jean Nouvel and in New York with architect Peter Marino. The studio has previously turned a former factory building in Copenhagen into a house for a photographer, featuring a plant-filled atrium and walls of brick, wood and steel.